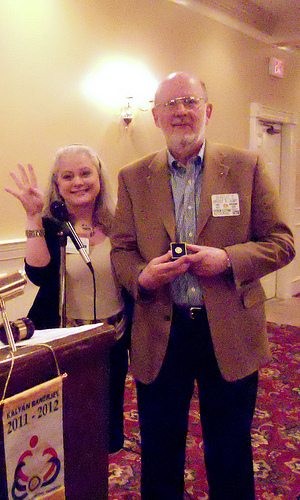 LEFT: Bruce Jump (with President Brenda Stansfield) celebrates Bruce's PHF PLUS 4! Thank you Bruce for your generosity! 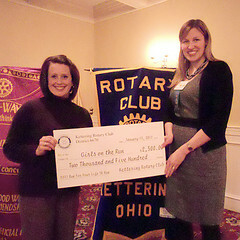 Right: Girls on the Run received a check for $2,500.00 from Beth Ling (on the Right) from the proceeds of KRC 2011 'Run for your Life' 5K run.